The point of an education is to become literate ( a person that is able to read, write and communicate their ideas) and become productive citizens of society. 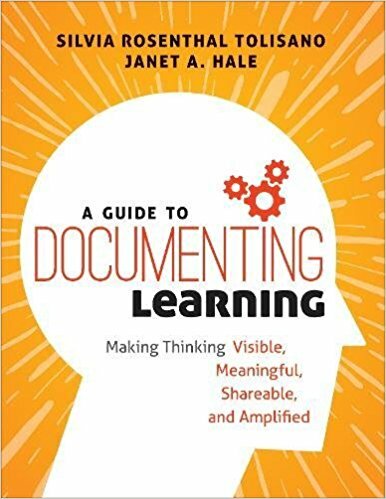 Let’s define documenting learning as a visible, interconnected, meta-cognitive approach for creating evidence of one’s own learning process (or the learning process of our students). I want to dig deeper into the relationship between literacy and documenting learning and make these connections visible. This is the first post in a series of blog posts to look deeper into this relationship and document (no pun intended) my thinking. It is an attempt to give learners a better understanding of HOW documenting learning will have effects on their awareness, skills and developing habits around the so called 21st century “Now” literacies. 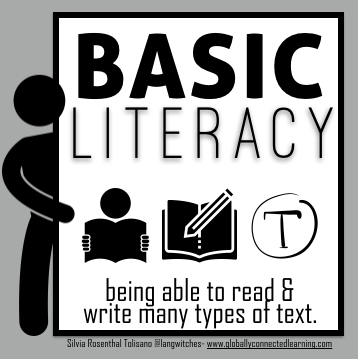 Basic Literacy– let’s depart from the notion that we consider basic literacy as being able to read and write many types of texts. material that provides official information or evidence or that serves as a record. the process of classifying and annotating texts, photographs, etc. Documentation gets the thoughts out of our head and materializes them into words to make them concrete by giving them space on paper or on a screen. By articulating our thoughts, we are capable of sharing them with others. Documentation expresses what we think was important to highlight and captures moments in time, that otherwise could be forgotten in the future or misrepresented by failing memory. Documenting is about articulating for oneself and for others our thinking and learning strategies and outcomes. Documentation becomes a process that puts (connects) isolated thoughts, reflections, events, projects, attempts of meaning making and learning into a timeline and attempts to describe, explain, illustrate, understand, portray, classify and interpret the learning journey and its individual components and their relationships. Documenting learning attempts to capture what usually goes unnoticed. We become aware through the act of writing it down. Documenting learning makes what we consider evidence of learning and the journey itself visible. Narratives can put individual documentation pieces in context, creating a storyline of the learning journey. Information Reports can be used to present specific information to show evidence of what content knowledge was acquired, processed, internalized and learned. They look at certain aspects of events that occurred. Documentation helps filter, organize, categorize, store and archive information. Ex. Can Social Media Have a Role to Play in Managing a Successful Classroom? Recounts help document what happened in chronological order. Explanation makes it clear how something works, why it works or doesn’t work how it should or how it came to be. Documentation breaks down and supports each step of the explanation. These documentations give reasons behind actions. Descriptions can give us specific details, features and characteristics of the setting, of our learning journey. Procedures give us instructions on how to make or do something. Documenting these step-by-step instructions support our own learning by breaking down a process to be able to reproduce at a later time and scale the procedure. Research is an integral part of documentation, when the learners see themselves as investigators and action researchers with the goal of owning their learning, understanding their learning process, improve future learning and facilitate learning in others. Writing begins with reading and connecting to different facts, ideas and thoughts of others. Expository documentation tells or informs the reader through clear information. Ex. What are the best ways to engage your classroom in global conversation & What are the best ways a Teacher can Demonstrate Leadership in the classroom? Persuasive documentation tries to persuade or convince readers to a point of view, opinion or idea about an issue. Documentation can share how the author has experienced and reacted to an event, serving as an example for others. Documentation shows the passion the author has for a subject or topic. As you can see, documentation can pretty much take on any type of text. When we document our learning (and the learning of our students) we are practicing and exposing the learner to basic literacy skills and habits. 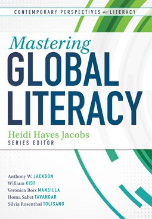 To what extent should metacognition and metacognitive skills be a fundamental part of literacy? In particular, it seems that to communicate effectively, there seems to be a certain requirement of sensemaking and understanding. In exploring and processing content, individuals would need to recognize what goals they have in their exploration and to use that to inform their filtering of materials. In evaluating content itself, it would require the ability to distinguish content that is meaningful and well-communicated. A large part of this is not only the understanding of the language used, but also the means and purpose of the communication to begin with – the context within which the author is writing, the audience targeted, the goals and drive for the production of the content, and the medium through which the author communicates. In producing content, this dynamic is flipped. It becomes incumbent on the learner or producer to synthesize the information they wish to rely on and to clearly and conscientiously communicate the ideas they wish to share. To do so effectively, and to make sure that the message is understood, it seems that authors need a certain to understand how content and messages are understood and processed, and to evaluate and improve their production of content to improve the clarity and cogency of their language. In general, the literacy involved in communication seems to encourage and demand a certain amount of meta-cognition. In what ways can documentation or other learning techniques help to explore this space more explicitly? 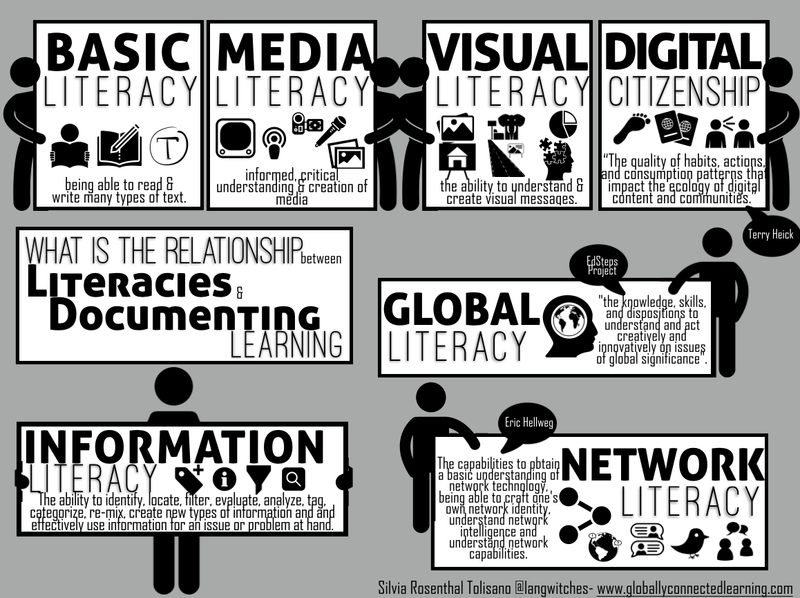 Great post on explaining the relationship between literacy and documenting learning. This was really though provoking.